Since one of my most recent projects, Little Lords of Twilight, became available worldwide earlier this year and was recently greenlit on the famous Steam platform, I thought I'd write this article to share some of my creative and technical process in composing the music for this game. In particular, this project presents a great opportunity to look at how compositional variation (as we understand it from music theory) can be useful for the structure of interactive music. Developed by BKOM Studios, Little Lords of Twilight won a Best in Play Award at GDC 2017, a Best Designed Mobile App Platinum Award from the BMA Awards, a Communicator Award for Best Mobile App, and has appeared on numerous "Best of" lists, including those published by PocketGamer, Explore Gadgets, and GameInOnline. 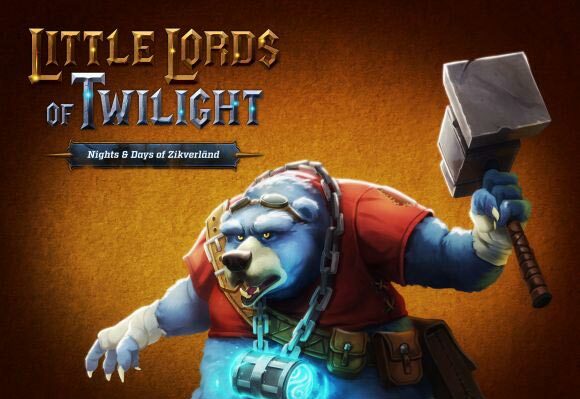 As a player-versus-player turn-based strategy game, Little Lords of Twilight offers a unique gameplay mechanic influenced by the in-game passage of time. Day and night cycles dramatically alter your character's appearance and abilities. 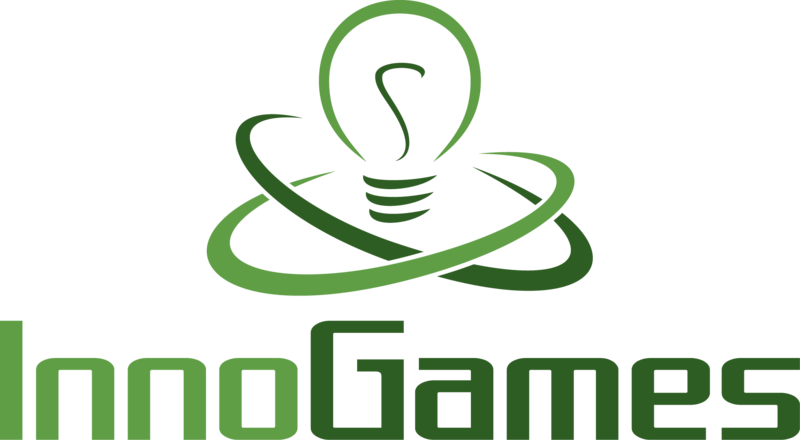 Depending on whether it is currently day or night in the game, your character will have access to a completely different complement of awesome skills and spells to wield on the battlefield. I first encountered Little Lords of Twilight on the show floor of the popular Electronic Entertainment Expo last year. After being thoroughly charmed by the game's art style and intrigued by its mechanics, I had the chance to meet with the BKOM Studios representative at the booth and talk about music needs for the game. The timing couldn't have been better. That initial conversation led to more in-depth talks with more members of the development team over the ensuing weeks, and I was subsequently hired to create the music of the Little Lords of Twilight game. So, I suppose the lesson here is that we game composers can never be sure when opportunity will present itself, but the E3 convention seems to be a good place to go looking for it! 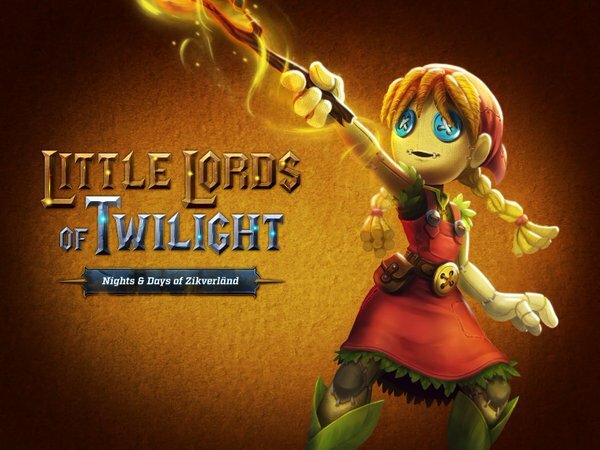 The expert development team of Little Lords of Twilight were interested in a musical style that would feel simultaneously adventurous, whimsical and sinister. So, let's first listen to my Little Lords of Twilight main theme music, which was designed to express the musical style of the game as succinctly and iconically as possible. Here's a video that shows how a player encounters the main theme music while navigating the game's menu system. Notice the whimsical celeste and glockenspiel on top, the adventurous orchestral strings and brass underneath, and the darkly sinister timpani, theremin and sound design rounding out the mix. You'll notice that the trailer highlights the game's most distinguishing play mechanic - the power of day and night to bring about change in the characters' appearances and abilities. For most of the pieces I composed for Little Lords of Twilight, I was asked to musically execute this abstract idea of fundamental change between the innate nature of day and night in the game's magical world. The interactive music system of Little Lords of Twilight hinged on the changeover from day into night and vice versa. The music for these two gameplay states needed to transition well into each other, and yet convey distinctly different atmospheres. Let's take a look at a couple of levels from the Little Lords of Twilight game to see how this worked. Let's now see how this same principle worked in a very different level of the Little Lords of Twilight game. In this article, we've explored how musical variation can be used to make interactive music transitions more impactful, while still retaining a distinct musical identity for specific locations within a game. I hope you've found this discussion of the music of Little Lords of Twilight interesting! Thanks for reading, and please let me know your thoughts in the comments section below! Winifred Phillips is an award-winning video game music composer whose most recent projects include the triple-A first person shooter Homefront: The Revolution and the Dragon Front game for Oculus VR. Her credits include games in five of the most famous and popular franchises in gaming: Assassin’s Creed, LittleBigPlanet, Total War, God of War, and The Sims. She is the author of the award-winning bestseller A COMPOSER'S GUIDE TO GAME MUSIC, published by the MIT Press. As a VR game music expert, she writes frequently on the future of music in virtual reality games.